Why relocate to Beacon Park? Beacon Park is a leading business location on the east coast of East Anglia and is established as a business hub within the whole of the Eastern Region. 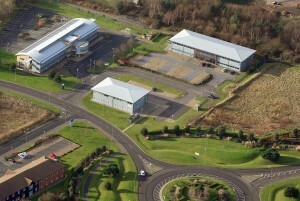 It comprises 25 acres of mixed office, industrial and leisure development. Beacon Park has Enterprise Zone status meaning occupiers benefit from the provision of superfast broadband as well as fast-track planning through a Local Development Order. Situated to the south of Great Yarmouth in Norfolk, Beacon Park very accessible, with access directly from the A47. At Beacon Park, we can accommodate your business size requirements, from 278 sqm (3,000 sqft) up to 9,290 sqm (100,000 sqft) and even beyond. We work with a number of local reliable and cost-effective developers, contractors, architects and civil engineers to ensure the best possible result for businesses relocating to Beacon Park whether you wish to lease or purchase commercial property. 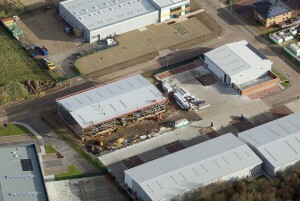 Within Beacon Park is Wellington Park – a new office campus providing 15 good quality self-contained offices from 232.25 sqm (2,500 sqft), Blackfriars Court – a high-quality development of brand-new light industrial/warehouse units from 288 sqm (3,100 sqft) and Lancelot Road and Malory Road which provide four brand-new, high-quality industrial units/warehouses. Throughout Beacon Park, units, whether office or industrial, speculatively built or bespoke design and built are available to purchase or lease (subject to terms). To date, Beacon Park is one of the most successful Enterprise Zones in the country and has created a cluster of dynamic, energy-related businesses supporting the global oil and gas industry from Great Yarmouth. This success has been down to a proactive approach taken by Great Yarmouth Borough Council, New Anglia Local Enterprise Partnership, developers, contractors, and our joint sole marketing agents. The Beacon after which the Park is named was constructed by Great Yarmouth crane manufacturers, Seatrax, and was sited on the Thames and lit by Her Majesty the Queen to mark the celebrations for the starting of the Millennium. It was followed by the lighting of beacons spreading across the length and breadth of the United Kingdom, and after its ‘worldwide’ appearance returned to its home of Great Yarmouth where it was refurbished, repainted and sited at the entrance to the Park. Which businesses have relocated to Beacon Park?